This major Himalayan highway follows the gorge of the Kali Gandaki River, crossing from subtropical jungle to high-altitude desert in less than one week. Mixed in the stream of international trekkers, are Hindu ascetic walking to Muktinath and jingling mule trains heading down from Tibet loaded with bales of wool. Both are reminders of the trails status as a major trade and pilgrimage route, an important cultural corridor across the Himalaya. The end point is the ancient shrine of Muktinath (3800m), one of Nepal’s holiest pilgrimage sites. There’s no real village, but lodges around the lower portion (Ranipauwa) put up pilgrims and trekkers. The ancient holy site is a typically confusing blend of nature, Hindu and Buddhists beliefs. The little Newari-style pagoda to Lord Vishnu is a relatively recent addition. Muktinath has been sacred for more than 2000 years; the Hindu holy book Mahabharat mentions it as Saligram, ‘Places of the Saligram’, the black fossil stones sacred to Vishnu and found in abundance in the Kali Gandaki Valley. Its holiness stems from flicking blue flames of natural methane gas burning on water, stone and earth, and now enclosed in the shrine of Jwala Mai below the Vishnu Temple. Near the pagoda, there are 108 spouts, shaped like bulls’ heads, where devout pilgrims bathe in the freezing water to purify their sins and earn spiritual liberation. The place has ancient association for Buddhists as well. Guru Rinpoche is said to have passed through here en route to Tibet, leaving his footprints in a rock. There are many old Buddhist temples around here. The entire trek to Muktinath remains below 3000m. One should figure at least two weeks to walk in and out, allow a few extra days for exploration, the upper region in particular, is lined with fascinating villages. Flying into Jomsom and walking back down is possible, but one should remember to acclimatize before climbing to Muktinath. One can fly from Jomsom to Pokhara. 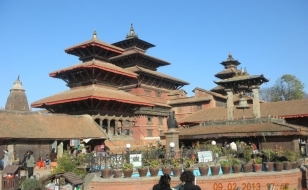 A day trip around the valley, which is rich in Cultural Heritage, consisting of seven sights listed in World Heritage List. 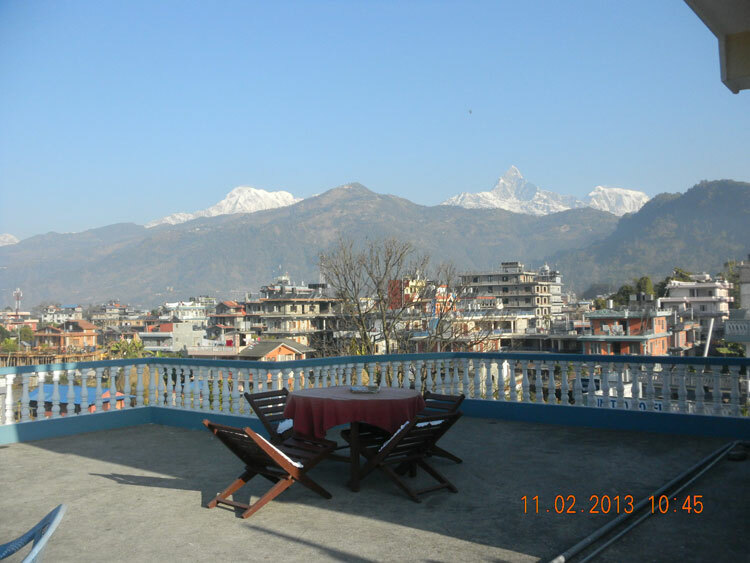 Situated at 200 km west of Kathmandu, Pokhara is a beautiful and clean city with Phewa Lake on the west and stunning view of Annapurna mountain range on the north. Drive for about 2 hrs to Naya Pul; then start trekking along the bank of Modi Khola. 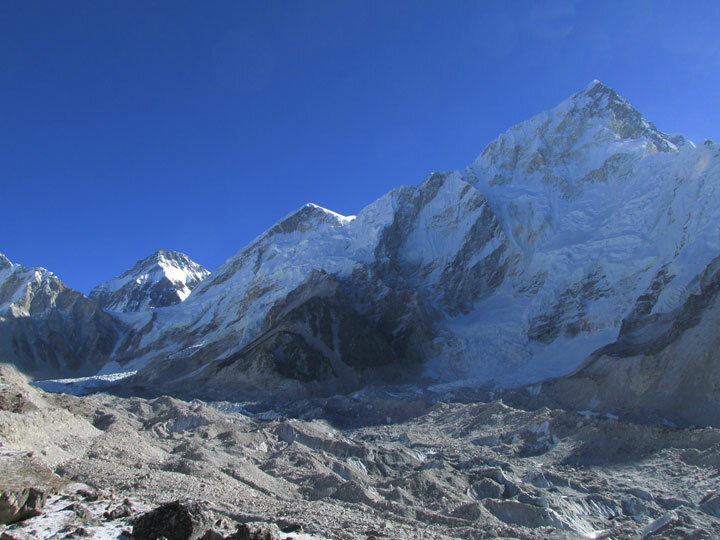 Continue through the village following the northern side of Bhurungdi Khola climbing steadily up the side of the valley to Hille; finally reach Ulleri, where one will be rewarded with breathtaking views of the valley below and the peaks of Annapurna South and Himchuli. 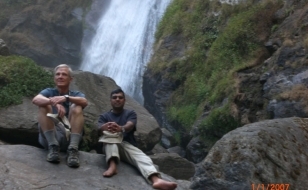 A gentle climb through pasture and cultivated fields; as the trail climbs higher, you walk up beside the cascading river through refreshingly cool oak and rhododendron forest all the way to Ghorepani. The trail descends steeply to Sikha, a large village & further descends to 380m to Ghar Khola Village. After crossing suspension bridge it climbs up at Tatopani. 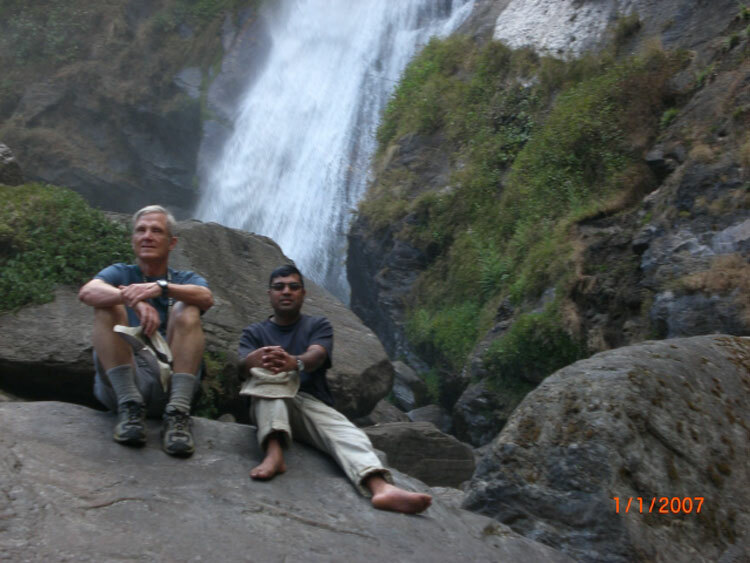 The trail now follows the Kali Gandaki River which flows under the deep gorge by 2200m, in between two 8000m mountaintops are only 38km apart. This trail further ascends to first Thakali village Ghasa, a paradise village for the bird specialists. A steep climb through forest takes you to Lete Khola then reach to Lete. 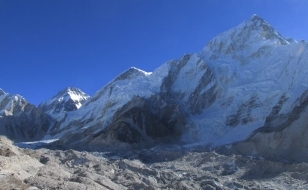 It further continues to the east side of the Kali Gandaki to reach Larjung Village. Today’s trail cross via Tukche at 2590m and walking further through a governmental established project - produces fruits, mainly apples and vegetables for the whole region - until you get to Marpha Village. The trail continues along the valley side, rising gradually before crossing over a low ridge to Jomsom Village. The interesting trail along the river all the way to the medieval-looking village of Kagbeni. From Kagbeni the path climbs steeply to re-join the direct trail leading to Khingar at 3200m. The trail climbs through a desert landscape till Jarkot Village. A further climb brings you to Muktinath. From Muktinath you will retrace your steps to Jomsom and your trek ends at Jomsom. 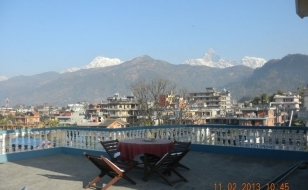 A 25 minutes flight to Pokhara and rest of the day in Pokhara at leisure. This trek can also be done in reverse way i.e. 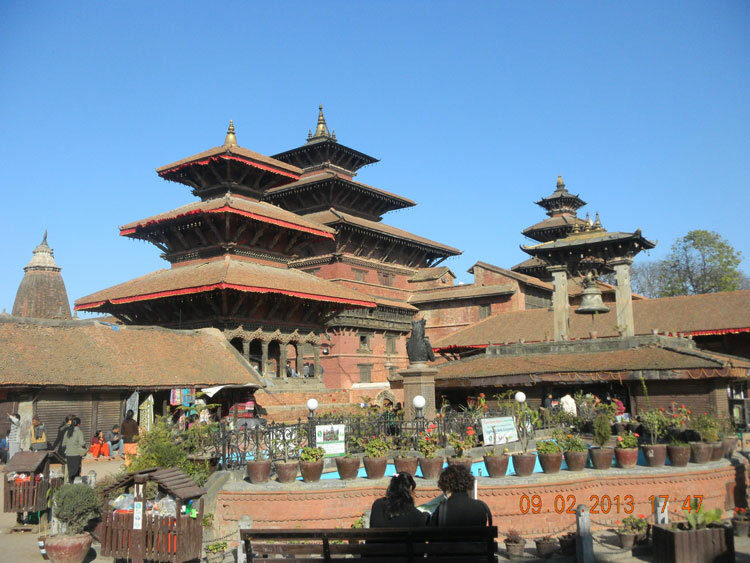 Fly in to Jomsom and Trek down to Pokhara. • Down jacket, four seasonal sleeping bag, duffel bag, trekking map and trekking Poles (Help to hire ) on clients request.